Your degree should match your career goals. 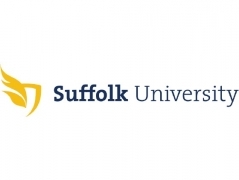 The Master of Science in Finance concentrated in Risk Management, Investments, or Corporate Finance at Suffolk University will build the comprehensive knowledge and practical skills you need to address financial issues in a global industry. You may also earn your degree in as few as 12 months. Request more information to see if you qualify to waive the GMAT or apply now. Scholarships are available based on merit.